felicitated Verma on behalf of the entire Income-Tax department and also conveyed his best wishes to Verma for an illustrious career. CBDT, or Central Board of Direct Taxes is the apex body of direct taxes in India, and it comes under the revenue department of the ministry of finance. Verma was a recipient of the prestigious Arjun Award in the field of archery in 2014. He also won the Rajiv Gandhi State Award for outstanding excellence in sports in 2007. 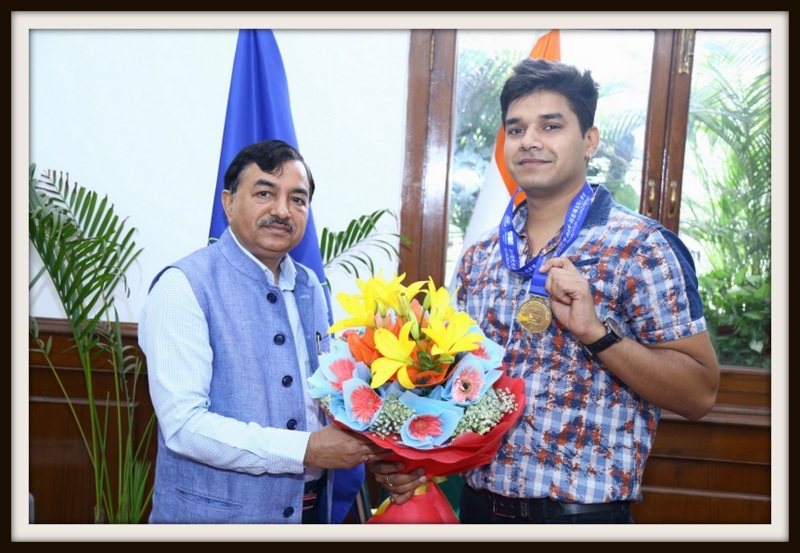 He has won laurels for the country at many international events in archery including gold at the 12th South Asian Games (SAF Games), 2016 held in India and also the 19th Asian Archery Championships, 2015 held in Thailand, according to a press statement issued by the CBDT. Verma is the first Indian archer to shoot 150/150 twice in a day at the 1st Asian Grand Prix Tournament, 2014, and holds the Asia Record of scoring 708/720 points. Meanwhile, as this post is being written, in an unrelated development, the Income-Tax sleuths have been carrying out searches in the premises belonging to four Uttar Pradesh bureaucrats. The officers include two IAS as well. According to the preliminary reports, 15 premises of the officers including those located in Noida, Greater Noida, Lucknow, Meerut, Baghpat, Mainpuri and Delhi have been searched since Wednesday early morning. Please do your official duties also, O top Archer sir.